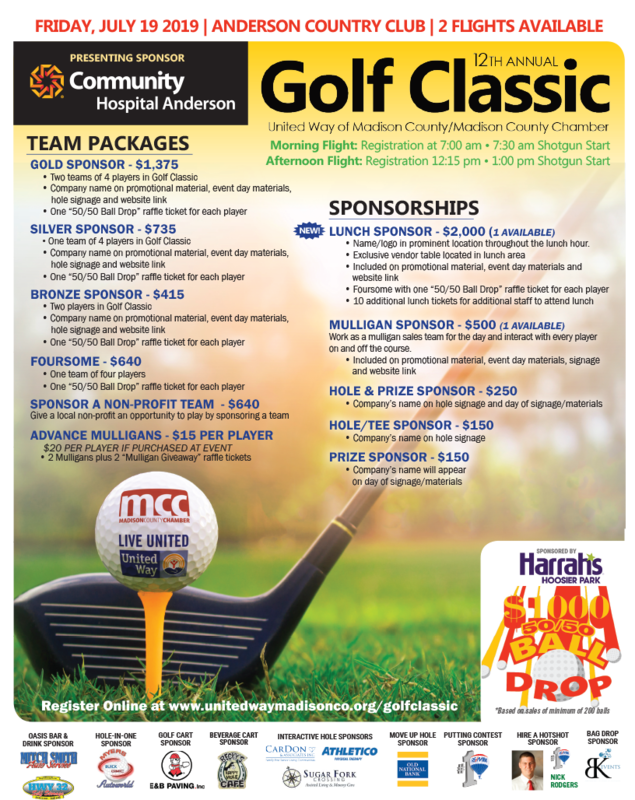 The Madison County Chamber/United Way of Madison County 12th Annual Golf Classic will be held Friday, July 19, 2019 at the Anderson Country Club, 602 North Shore Blvd. Check-in is at 7 a.m. and noon. 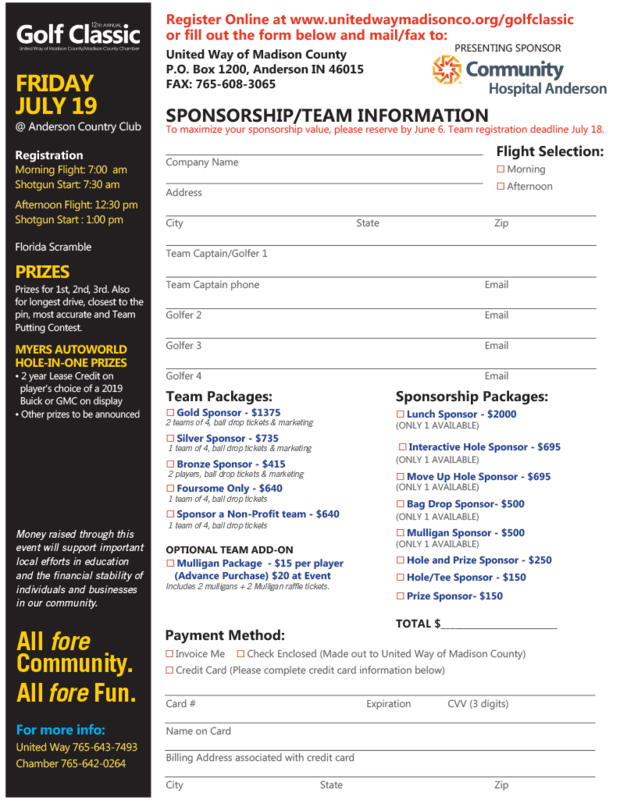 Entry includes green fees, range balls, cart and one 50/50 Ball Drop raffle ticket per player. Coffee and donuts, beverages and lunch also included.